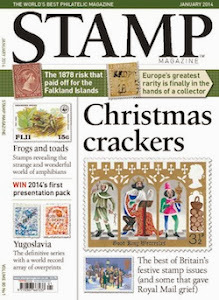 Have you read the latest Stamp Magazine yet? With its feature on comic strips? It's a great feature which will trigger quite a few nostalgic moments for most of us! No wonder that so many countries have issued comic strip stamps. It's a very appealing subject, so you can't go wrong! My latest addition to my comic strips stamps came along in a job lot of Dutch stamps which a good friend passed on to me on my recent trip to Holland. The lot included a sheet of FC Knudde stamps. 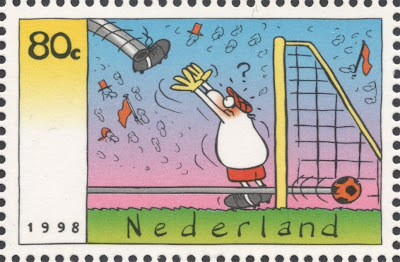 Though some catalogues state that this stamp was issued to mark the World Cup Football Championships in France, its actual purpose was to mark the 25th anniversary of the FC Knudde comic strip in 1998. If I tell you that FC Knudde translates as Rubbish FC, you know enough, I suppose! The immensely popular comic strip focuses on the ups (very few) and downs (way too many) of this football club. 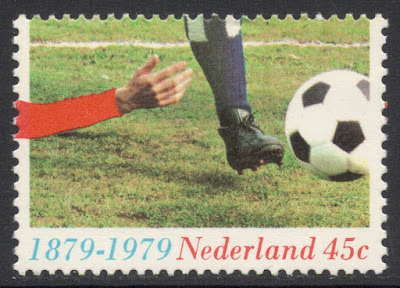 Great stuff, and easily one of the best football stamps ever issued in the Netherlands. Most of those are usually rather orange and rather boring. The absolute bottom of the pit (in my humble opinion of course!) 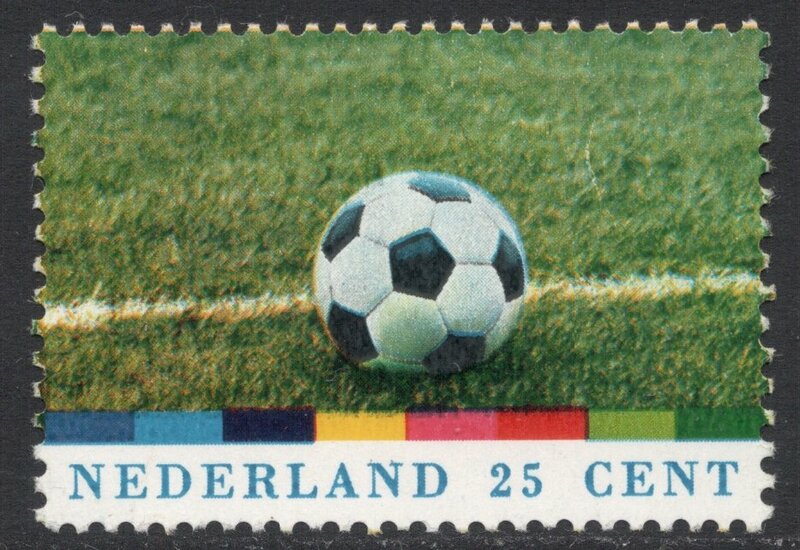 was reached in 1979, when a stamp was issued to mark the centenary of organised football in the Netherlands. I still don't know what that weird arm is doing there but it spoils an otherwise non-too-interesting stamp even more! The first Dutch football stamp dates from way back in 1928! That's quite early, I would think, so may it be among the first in the world? I had quick browse on the net and, according to the footballphilately website, it is the first in the world! Uruguay beat them to it, by issuing a Football Victory set in 1924, but those stamps did not depict anything to do with football, so that one doesn't count! 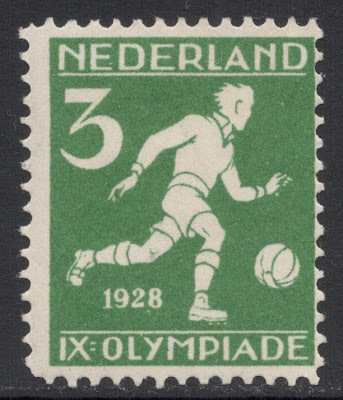 The 1928 Olympic Games were held in Amsterdam, and a set of eight sporting stamps was issued to mark the event. The 3c depicts a footballer. 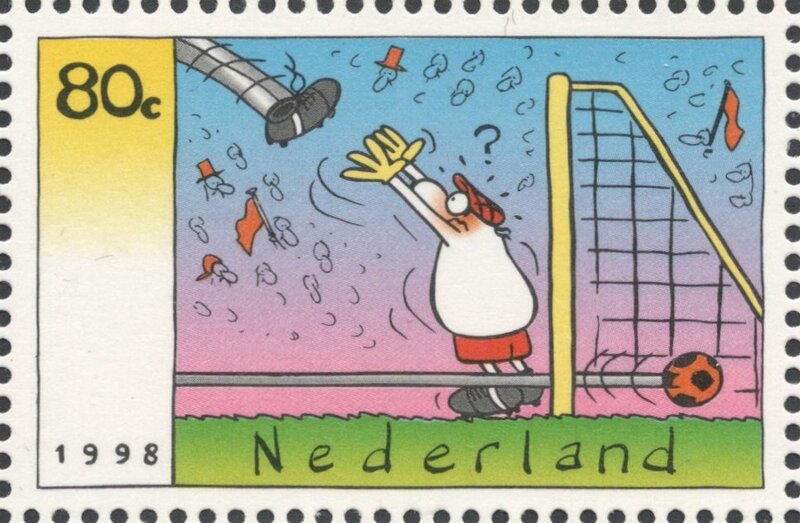 My favourite Dutch football stamp is one which many of you will probably find rather unimaginative, but it has left an indelible impression on my philatelic memory. It was issued in 1974 to celebrate the World Cup Football Championships in West Germany. I like its simplicity, its balanced design and its effectiveness, though I'm not sure what the meaning is of that multi-coloured bar. Apparently, the stamp was overprinted in anticipation of a Dutch win, but needless to say these never saw the light of day, although stamps with fake overprints did surface on the philatelic market! PS: we now have a forum thread on this subject too! I do find it odd that you think the 1979 stamp is none-too-interesting (and I agree it's shocking, especially with added arm), yet the 1974 stamp which has even less on it is your favourite! It's a ball. On a field. I must say the design, however, is very avant-garde for '74 and this could easily pass for a modern stamp. I know not many people would agree, but I find the 1974 design way more interesting than yet another footballer kicking against a ball or celebrating a goal or a win. So yes. A ball. On a field. Love it!